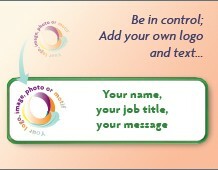 Add your own design to our H Series namebadges. 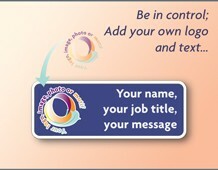 Smart name badges with fully customisable layouts, choice of coloured frames. • Tough and robust badges that will last. • Safe rounded corners and reliable attachments make them suitable for health-care and school use. • Available with either a pin or magnet fitting. 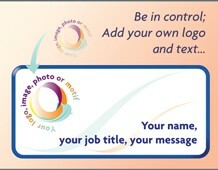 • Easy to use software gives you freedom to create and submit whatever design you like on your badge. • No software downloads - manage your design directly from our web page. Made in the UK to quality assured standards and usually turned around in three days.